The application window is now closed for the Fantasy Flight Games Organized Play 2016 Regional Championships. Each Regional Championship is a major event in the Organized Play tournament calendar, and hosting one of these exclusive tournaments transforms your store into a hub of excitement for players throughout your region. You'll boost your local playgroup, enhance your reputation, and reward participants with custom prizes. You can learn more about Regional Championships below. What Is a Regional Championship? 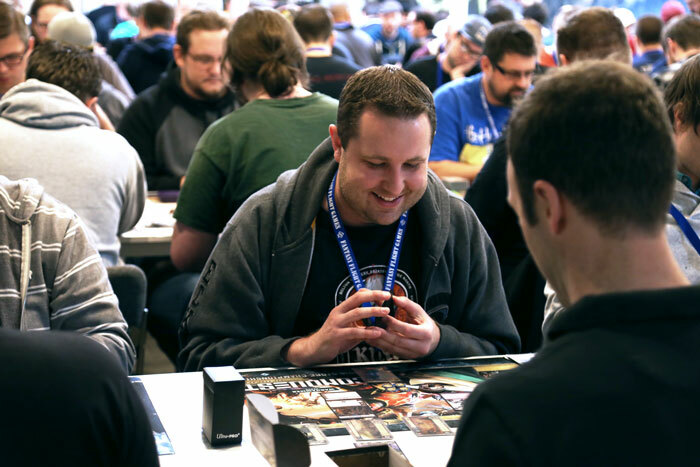 Each Regional Championship in the Fantasy Flight Games Organized Play tournament calendar is an exclusive opportunity for your store to host a game's most passionate players from all throughout the surrounding area. Hosting one of these highly coveted tournaments can help you grow your community to greater heights as players frequently travel many hours to attend and compete for the exclusive Regional Championship prizes. Regional Championships mark a step up in the scope and competition from a Store Championship and build toward the National Championships and World Championships that follow. Regional Championships will be offered for each of the competitive games supported by Fantasy Flight Games Organized Play. Regional Championships in the United States take place between April 2nd and June 12th. Regional Championships in Canada and the rest of the world take place from May through July. Retailers looking to host Regional Championships outside of the United States and Canada should contact their distributor for more information. What Prizes and Materials Come in the Kits? Each Regional Kit provides you with materials to help you run the best event possible, including a range of exclusive prizes, as well as a promotional poster, and an information sheet with instructions for running your event according to Regional Championship standards. Sixty-four copies of a tournament-legal alternate art card from the game for the top entrants. Limited edition components and items to commemorate the accomplishments of top competitors. Each game features a different selection of sought-after prizes, such as acrylic tokens, alternate appearance dice, playmats, challenge coins, or cards presented in wood or plastic. One card worth a prize bye at the game's National Championship tournament. One custom acrylic trophy for the winner, forever commemorating that player's rise to the rank of Regional Champion! NOTE: Previews of the exclusive contents in each game's Regional Championship Kit will appear in the weeks before the Regional Championship season begins, providing players with their first glimpses of these exclusive materials and heightening their anticipation of your 2016 Regional Championship event. How Many Regional Championships Will There Be? For each of our Organized Play games, we are looking for approximately twenty-four ideal retailers to host Regional Championships in the United States and seven to host Regional Championships in Canada. Some retailers may be awarded Regional Championships for multiple games. The outstanding quality of retailer applications. The concentration and size of the local player communities. The need for coverage across the United States and Canada. We may increase or decrease the number of Regional Championships for some games in consideration of these factors. Internationally, we work with our distributors to award and support Regional Championships according to the same three factors listed above. How Can I Improve My Store's Application? Thanks to the fact that we receive so many fantastic applications each year, we aren’t always able to award an event to every deserving store. However, each year is a new season, and we want every store to show the best they have to offer in 2016. We do our best to get to know retailers, but sometimes, your application is all we have to go by. Demonstrating your passion for a particular game or event is arguably the best way to set your store apart. When the organizer’s passion for a particular game comes through in an application, we take notice. 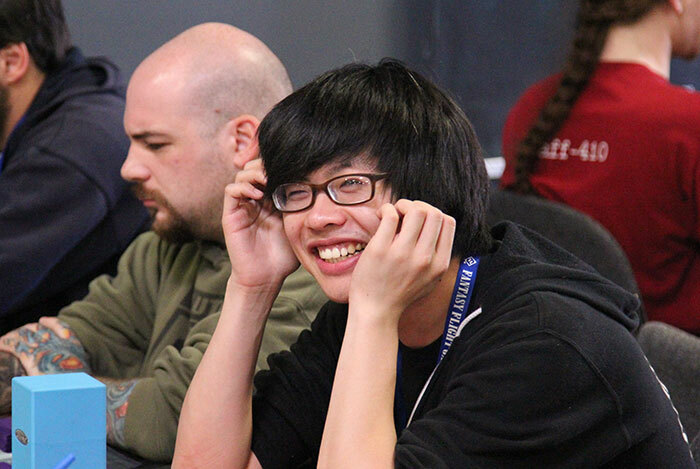 Regional Championships are exclusive events, and we hope to find retailers that value our games and their incredible player communities as much as we do. Do you run weekly game nights, have you previously participated in major FFG events, or have you created your own, unique FFG-related events in the past? Let us know what you have planned. How are you going to make your Regional Championship truly special? Side events, promotions, cosplay, giveaways, live streaming, and other ideas can go a long way toward making your store a repeat host for a Regional Championship. How many large events has your store run for FFG products? Other games? Retailers that have demonstrated operational excellence with substantial events are frequently great candidates to host a Regional Championship. Help us understand what makes your store distinct. Is there anything else you can include in your application that will help someone who has never been to your store to understand how awesome it really is? Be sure that your application doesn't overlook any of these defining details. The Regional Championships application period isn't just an exciting time for retailers. It's also an exciting time for every committed player who wants to help grow his or her local community. Encourage your friends to join you and play at your favorite local game store. Ask your favorite local game store if you can post a sign-up sheet for upcoming events. Check with your store to see if they are in need of a tournament organizer or judge. Additionally, you can keep watch for our upcoming previews of the 2016 Regional Championship prizes and increase the buzz for these events by alerting your friends to the news of all the great, exclusive prizes they might win.